Her Dream. 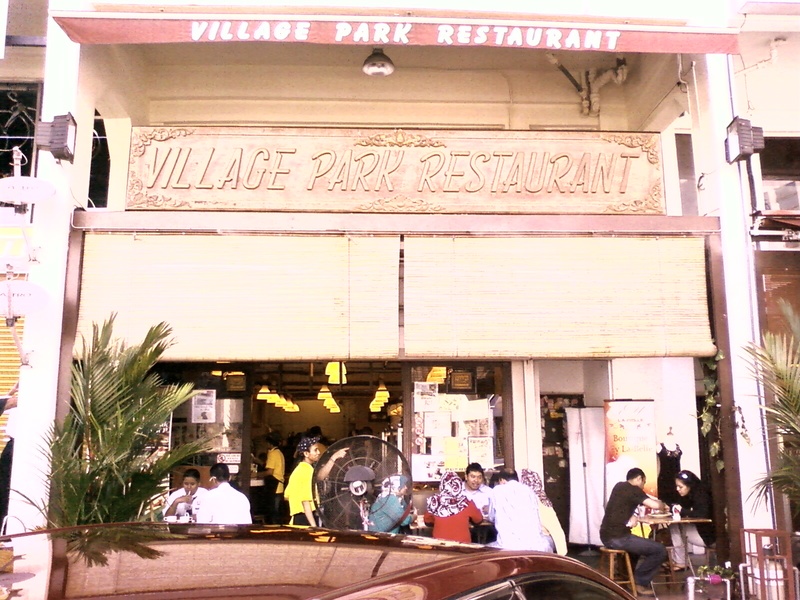 : One of the best nasi lemak in town! One of the best nasi lemak in town! 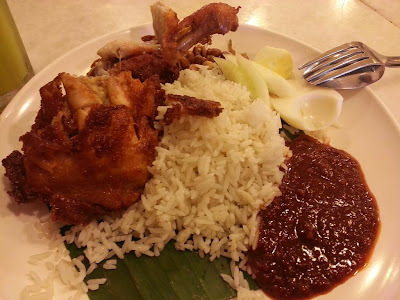 I always heard from my friends that there is one restaurant in Damansara Uptown which sells the best nasi lemak in town. I am so tempted to try it out but I never have a chance to do so. What a shame right? I visit Uptown quite frequently but I don't even know there's a place selling nice nasi lemak. Aduiii! So yesterday, my friends and I decided to go there for lunch since we have 4 hours break before the next class. The restaurant is known as Village Park Restaurant. I guess most of us have heard of this restaurant right? And indeed, the nasi lemak is so delicious and I can't wait to share this place with my readers, just in case there is any nasi lemak lovers out there may had missed out this restaurant. Opens daily from 7am till 8pm. On Sunday/Public Holiday opens from 7am to 6pm. The chicken is so crispy and their sambal is the best one that I tried so far. Ngam ngam, not too mild or too spicy. And I'm gonna give them an extra thumbs up for the rice! Smell so good and I can feel the texture of rice while I'm chewing it. A must must try peepo! P.S Try not to visit this place during peak hours as you can't find any place to seat. It is so packed with people during peak hours every single day. You will need to queue for a long time to order, to pay and to eat. LOL! Owh yeah, just in case you are not aware of it. 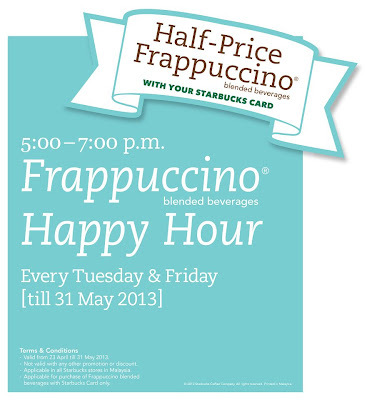 To Starbucks lovers out there, Starbucks Happy Hours is back in action! 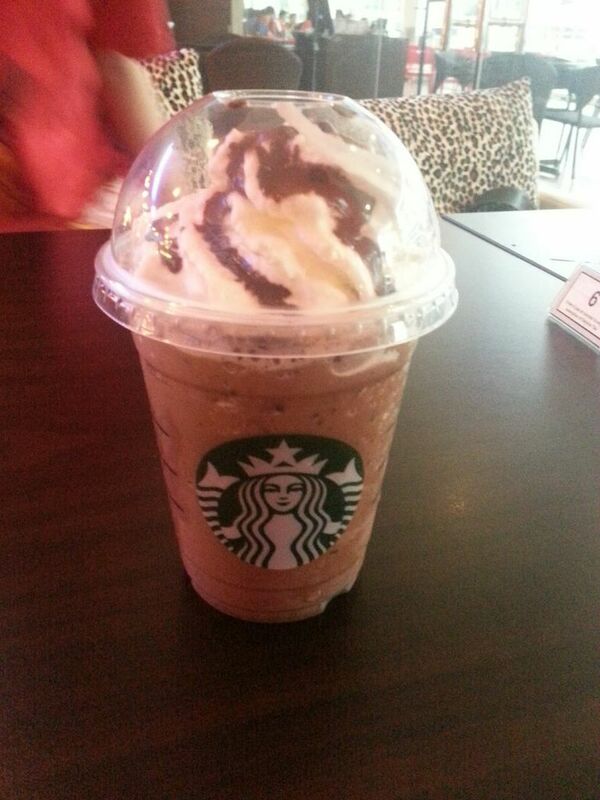 And this time, it is all about the Frappuccino! All you need to do is to present your Starbucks Card when you purchase your Frappuccino. Promo starts today till 31 May 2013, only on every Tuesday and Friday, 5-7pm. The sign is so plain, it's easy to miss. And RM8.50 for the nasi lemak??? It better make me jump over the moon. What time is peak hour? Haha gotta try it too! The queue is always a mile long when I pass by the place. Never had the chance to drop by as I'm not the type of person to queue for food.. I ask you. You ask me. We are happy family? Dang ~ dang ~ dang dang!